Dr Brendan Nelson and Christine Zeitz. The Australian War Memorial’s partnership with Leidos Australia will see a new technology-based approach to telling stories of Australians at war and on operations, through digital engagement with the memorial’s collection. The three-year project will see a series of 360-degree video experiences created, based on key large technology objects (LTOs) from the National Collection. Leidos said the content will be used to create an augmented reality experience to give users a never-before-seen perspective. 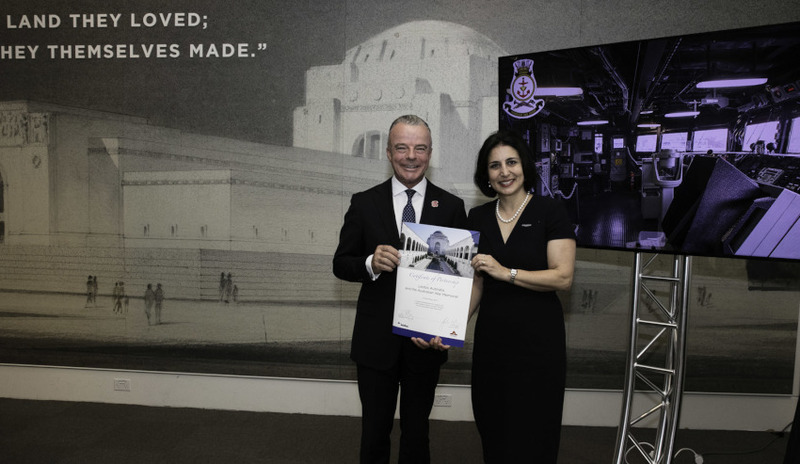 “Online and digital initiatives allow the memorial to more fully interpret the Australian experience of war, connecting and engaging all Australians with our military history," said memorial director Dr Brendan Nelson. "We are thrilled to be working with Leidos Australia, a leader in their field, to bring these LTOs to life, and to augment the physical objects with their operational histories and the associated oral histories of those who served in them." The initial phase will feature objects from right across Australia’s military history over the past century, including a Mark IV tank from the First World War; the Avro Lancaster “G for George” and a Lockheed Hudson bomber from the Second World War; the bridge of HMAS Sydney (IV), deployed in the First Gulf War; and a Bushmaster vehicle that saw action in Iraq and Afghanistan. The group represents all three arms of the Australian Defence Force. Leidos Australia managing director Christine Zeitz said it was a privilege to explore these objects and get a glimpse into their multilayered stories. "Leidos Australia is a global leader in the integration and application of information technology, engineering and science," she said. "This project allows us to utilise our expertise in a unique way, with niche content and with one of Australia’s most iconic institutions. We are thrilled to have officially launched our partnership today and look forward to expanding the reach of the War Memorial’s LTOs into the digital space." The augmented reality experience will be published on the memorial’s website and will also be actively promoted through the memorial’s social media channels to its hundreds of thousands of followers.